The Juke has undergone some small, but noticeable changes, and while it’s still the same quirky and unusual SUV that its always been, it seems to have grown up a little. Become a little more sophisticated if you will. This incarnation of the Nissan Juke, the Ti-S, is the traditional top of the range, with only the NISMO version sitting above it. It’s the only one to come with a part time AWD system too. The motor is a 1.6-litre turbo 4-cylinder petrol engine, producing 140kW of power and 240Nm of torque, and is paired with a 7-speed automatic gear box that results in a very nice drive. Fuel economy is a solid 7.5-litres/100km. Don’t let the quirky exterior put you off though, the interior is a nice place to be and the driving experience in this vehicle is quite frankly lovely. 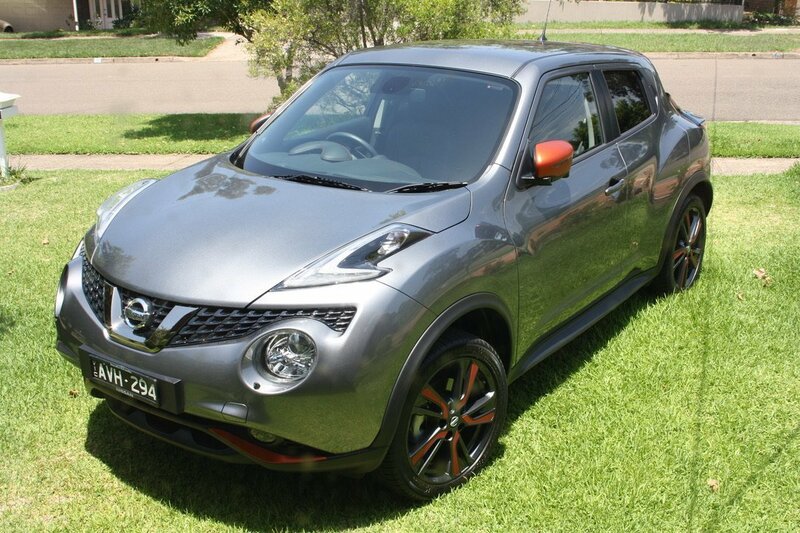 Let’s face it, Nissan do this very well. It handles highway speeds with ease and the road noise is minimal. Country roads are a blast and the handling is surprising to say the least. 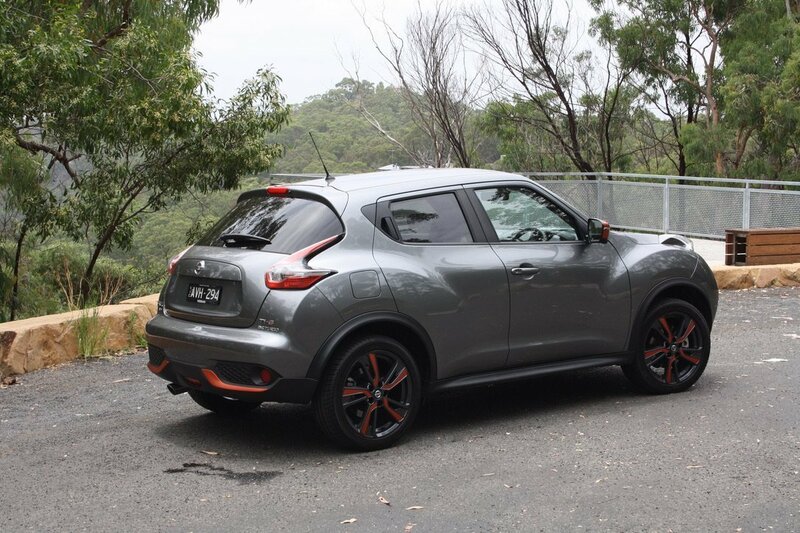 Easy is the best way to describe how the Juke feels on the road, while cornering is sure and direct. It handles long sweeping bends and tight mountain corners with very little body roll. It’s more reminiscent of a sportier vehicle, rather than a small SUV. When you plant your foot it can beat most cars off the line but it does tend to hold the gears a little too long under hard acceleration, making it rev a little high and scream a little. Driving normally though, the gearbox is super smooth, whether its gearing up or down, and makes the whole ride smooth and enjoyable. Thankfully there are no flappy paddles for manual mode; you can go old school and shift through the gears with the stick. Inside, there’s some very cool colour accent matching to the highlight shade that forms part of the exterior paint scheme, and while not everyone was a fan, we definitely liked the idea of the two having a link to each other. Those exterior colours include Ivory Pearl, Magnetic Red, Pearl Black, Platinum, Gun Metal (the test vehicle) and Vivid Blue. 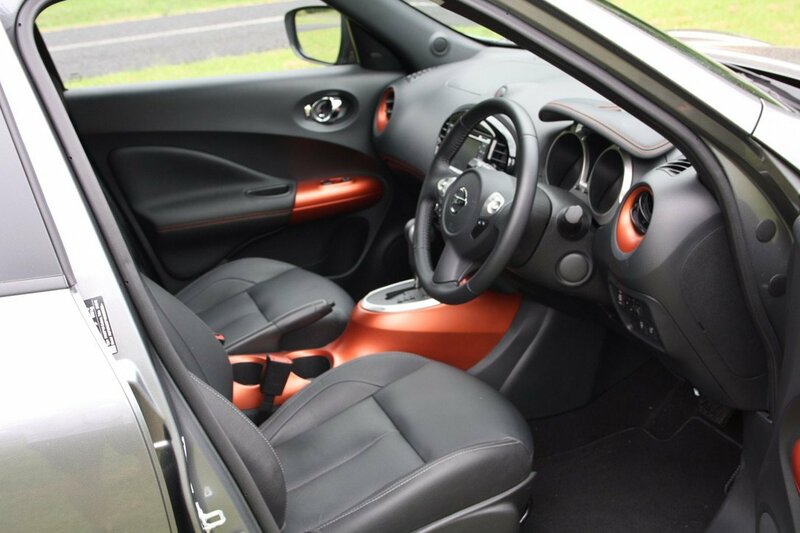 The seating position is comfortable and the leather seats are suitable for a short jaunt or a long journey. The front seats are manually adjustable and heated, making winter driving super comfortable, but it is lacking the cooling option that other manufacturers have in their range. At the price point it sits, $37,306 drive away, we were hopeful for ventilation. The rear seats are comfortable too, with enough leg and head room if you’re no taller than 180cm. It’s a little tighter if you’re a tall person. 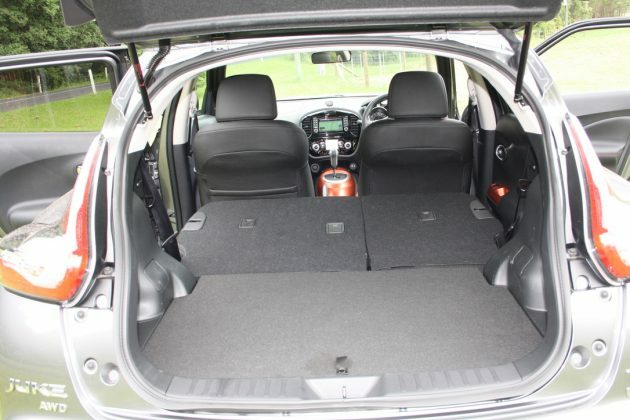 The storage space with the seats up is a little small, but there’s enough room for the shopping or the kids bags. Realistically it’s probably not enough room for a family’s luggage for a weekend away though. That said, if you’re a couple, or there’s just you, drop the seats and you will have a lot more room. Technology in the car is pretty good too but it is missing the usual Apple CarPlay and Android Auto we’ve come to expect. Also missing from the feature list is autonomous emergency braking, which is a little disappointing. It does come loaded with SatNav, Bluetooth connectivity, DAB+ radio and an albeit small touchscreen, at 5.8-inches though, and you’ll also find a 360-degree camera and a super clear reversing camera. Auto folding mirrors are great for narrow city street parking and the 2019 Nissan Juke Ti-S really does feel like the perfect car for urban dwellers. It comes with a 3-year 100,000km warranty. The warranty period is an important point, with Nissan’s vast array of competitors, for the most part, now offering 5-year or 7-year warranties. Some offer better technology and safety features too, for a similar price point. But the thing is, the Juke is quirky, it’s fun to drive, and the odd exterior shape does grow on you eventually. We’ll let you decide. 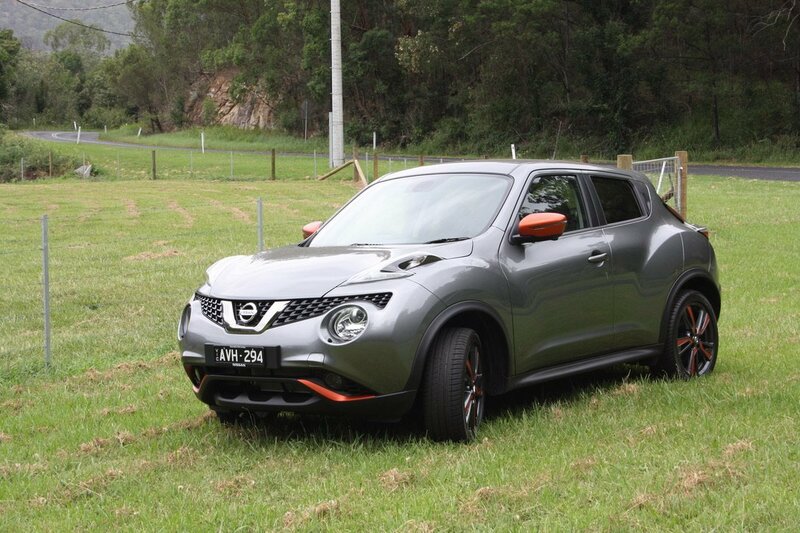 Our 2019 Nissan Juke Ti-S was supplied by Nissan Australia. 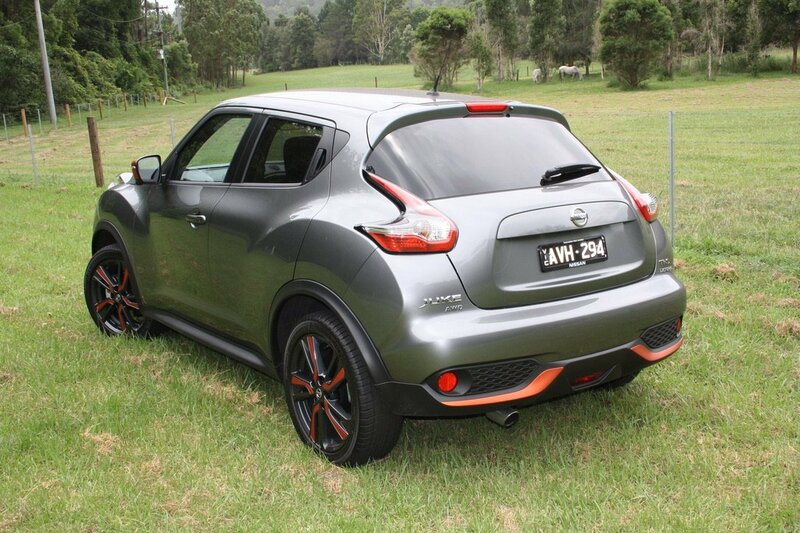 To find out more about it, contact your local Nissan dealer. Pros - performance; comfort; fuel economy. Cons - lack of AEB, price point is high; manual seat adjustment.